I have been lucky enough to have visited some of the world’s great art museums: The Louvre, The Tate (which was still known as the Tate Gallery when I was there), the British Museum, the Vatican City Museums, and (one of my favorites) the Museum of Modern Art in Mexico City. So when the Modern Mexican Painting from the Andrés Blaisten Collection exhibit made its U.S. debut at the Phoenix Art Museum, I knew it wasn’t to be missed. This particular exhibit is from the private collection of Andrés Blaisten. Blaisten started his collection in the 1960s after studying art at the famous Academy of San Carlos in Mexico City. Now boasting over 8,000 drawings, prints, painting and sculptures, Blaisten’s collection is dedicated to works from Mexican artists since the 19th century. 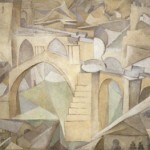 This exhibit focused on art created between 1910 and 1950. If you know anything about Mexican history, you know these years represented tremendous social upheaval and change throughout the country and in all aspects of society. While the culture was evolving a vital artistic movement was also taking place. Mexico even had its own renaissance of sorts and names like Diego Rivera, Rufino Tamayo and José Clemente Orozco made an indelible artistic impression. 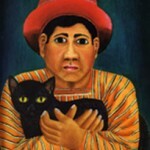 These famous artists, and countless lesser names, started Mexico on a path of self awareness. 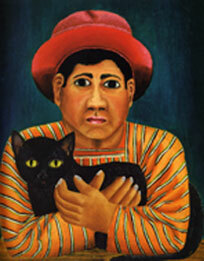 The concept of “Mexicanidad” encouraged the artists to simply “look around” for their inspiration. Soon the paintings and murals began to reflect the indigenous history, the struggle of the local workers and the pride of the Mexican people. Art began to play a significant role in extending political and social agendas in post-revolutionary Mexico and was woven into the fabric of society. Enormous murals in public buildings were used to tell stories throughout Mexico and to tell the tale of the evolution of a culture. 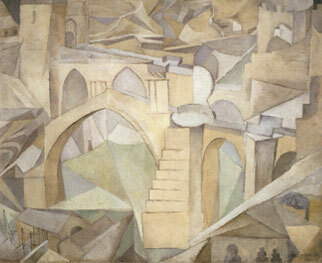 During the 1920s, art was further embraced by the minister of public education. The government created Open-Air Schools throughout Mexico focusing on art education for children, teenagers and later, adults. The students were encouraged to paint what they saw and what they lived. Many “Modernist Mexican” artists born of these schools focused on the topic of contemporary city life. Their work contrasted the diversity of the people and clash of the rich and the poor. Portraits and self portraiture also came into play as artists and the population reflected on their identities and place in changing society. Some of the paintings at the exhibit had a definite European feel to them. In some cases, I could have sworn they were painted on another continent. 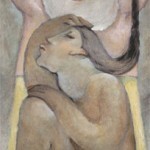 Many of Mexico’s artists studied in Europe and brought those influences back to Mexico with them and created a new kind of art often referred to as “ Modernism in Mexico.” Diego Rivera lived in France and Spain for more than 10 years and was heavily influenced by the beginnings of cubism and abstraction. I had never seen most of these paintings and was totally moved and intrigued by their beauty. They helped me to understand the Mexico murals a bit more and reminded me of the unprecedented passion of this wonderful country and the talent of these amazing painters. If this exhibit makes it to a city near you, don’t miss it! Tis the Season for Wine in Mexico! Salud!